Using these patterns drawn out with old pennies you can then design and quilt a cushion panel to decorate your home. 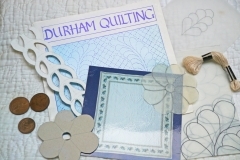 The workshop is designed to enhance your knowledge of the rich heritage of quilts designed and quilted in the north of England, learn about the Weardale chain, feather cable, lovers knot and rose templates along with many other designs inspired by nature. Find out about the people who quilted the designs and the history of these treasured quilts. 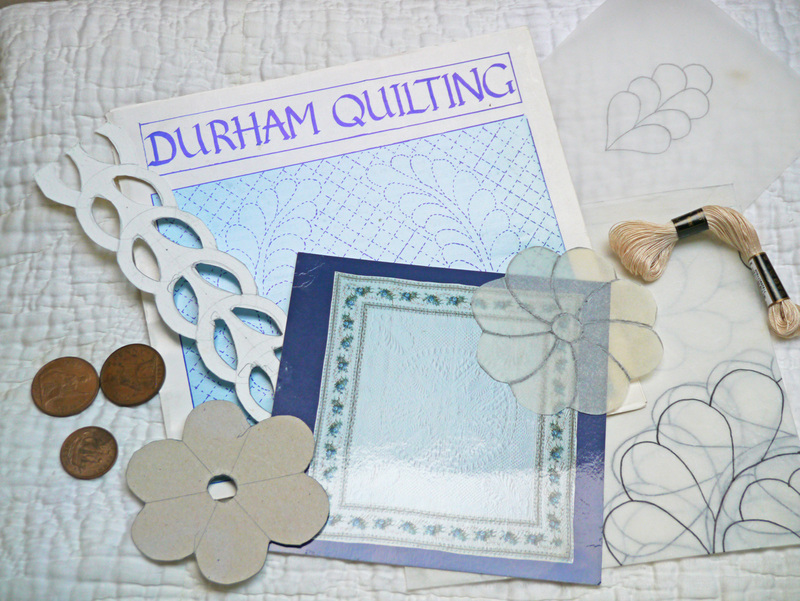 You will develop the skills of creating a unique Durham design using traditional templates from a central point working outwards to draw out your cushion panel. The design will then be transferred to fabric and be hand quilted in traditional neutral colours or choose brighter colours to create your own modern textile art. At the end of the workshop you will have a unique quilted panel inspired by the Durham quilters which can then be made into a cushion or framed.